I’m excited to showcase some new designs I’ve created for my spiritually inspired, authentic, conscious entrepreneur clients! These folks went through a very deep branding process where their soul was revealed, their message clarified, their free offer was created, and their essence was revealed through the design. I hope you enjoy them. Lydia Gracing has a passion to uplift, inspire and heal your heart. She begins the process by helping you connect with your angels through a guided meditation. I love how the cloud behind her in the banner looks like an angel wing. 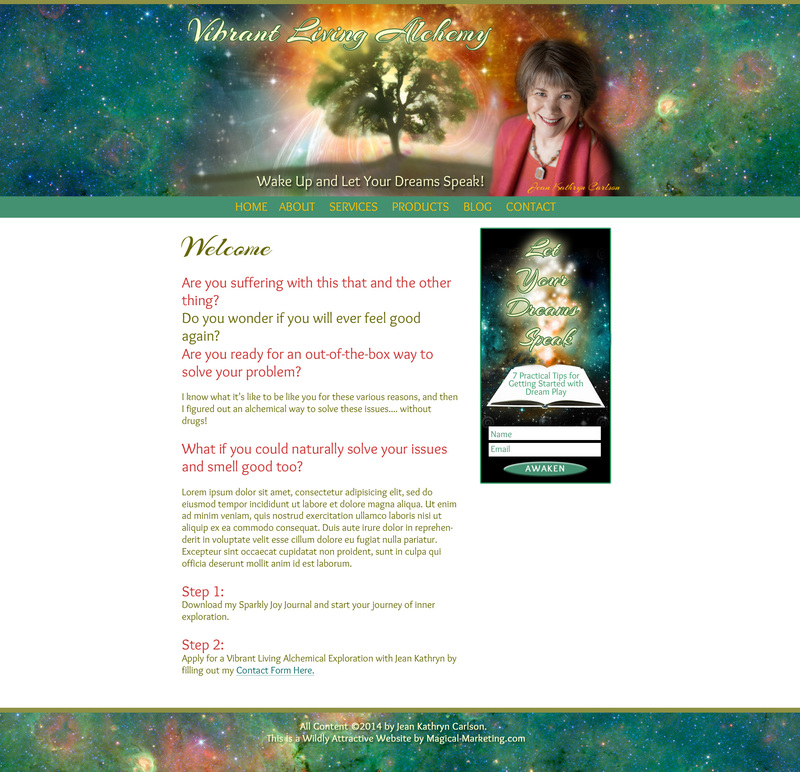 Lydia is a true angel, and her new site will welcome her Soul Tribe from around the world. Lydia’s site will be launched shortly! Congratulations Lydia! Using her passion for clarity and harmony, Ros Ferguson helps women who aren’t being appreciated at work to empower themselves from the heart. To express the warmth of her approach along with her creative style, we used earthy, illustrative imagery with warm colors. 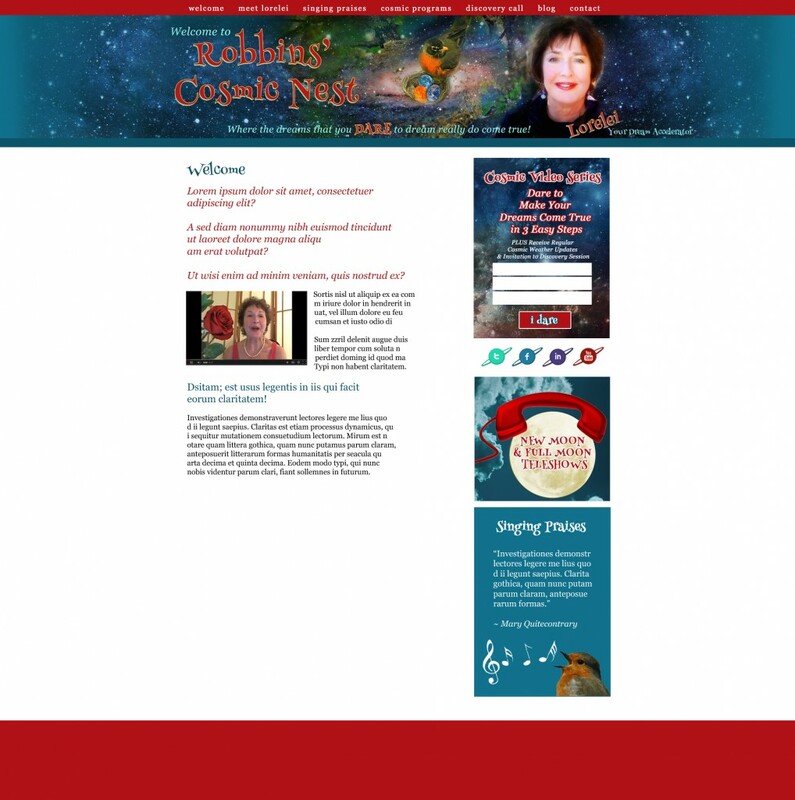 We chose a “Harmony Meditation” as the free offer because Ros has such a lovely voice that can sooth the tired heart. Ros will be launching her site this Fall. Stay tuned! Vikke Ford has seen the worst side of relationships both in her professional life as a family attorney, and in her personal life in partnerships with manipulative, lying con-artist-type men, over and over again. What she discovered is that so many powerful women let it all go when they find a man. She calls this the Cinderella Complex and she’s creating a community of women who are empowered to live their Soul’s Journey. This site will be going live soon. Stay tuned! Jean Kathryn is helping women wake up and let their dreams speak! Through our collaboration we created this design combining an etherial tree with a spiral light emanating from it, all on a turquoise galaxy background. Her free offer graphic is designed to match and draw the eye and offer folks some practical guidance on how to start their Dream Play. This theme is in the design stage so the copy is not real. I can’t wait to see how the whole thing comes together when we program the site next month. Carmel is a genius with space and color. 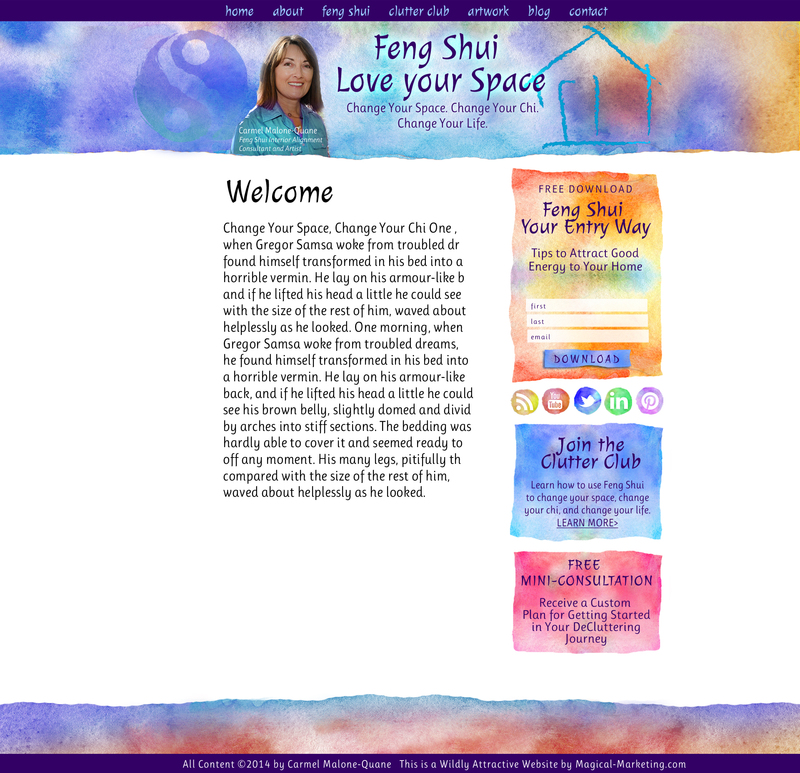 That’s what makes her such a good artist AND a talented Feng Shui Consultant. We wanted to bring out her artistic flair with this custom designed watercolor theme. Carmel is starting a new “Clutter Club” to assist folks to overcome their clutter issues ongoingly with the support of a group. Carmel will be launching soon so stay tuned! Seeking Help with Your Website? 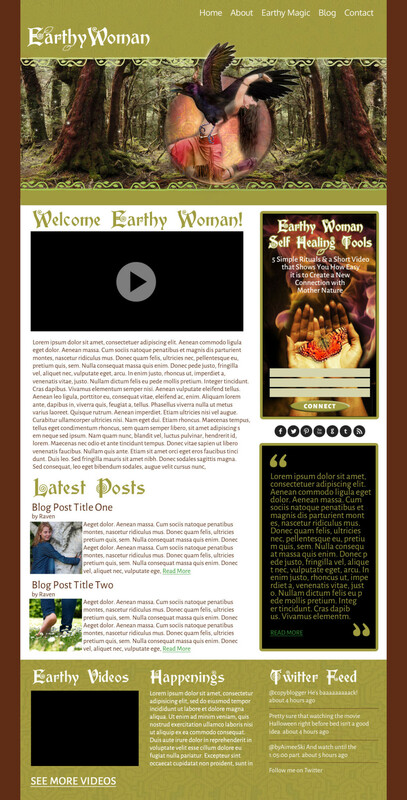 I can help you attract your Soul Tribe from around the globe with your Authentic Brand and your Wildly Attractive Website. To get started we will connect to explore the best next steps for you in a Magical Strategy Session. To get into my calendar, please fill out the form here: http://www.magicalstrategysession.com. That will help me understand your needs better before we talk. 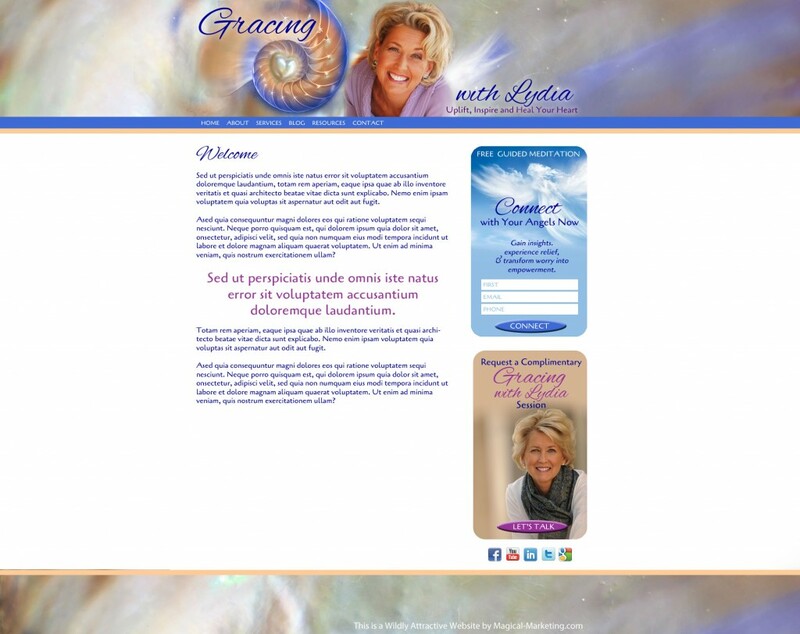 You’d probably guess that I’m particularly partial to the GracingWithLydia site! And as I look at the other gorgeous designs I’m struck by how each is unique and holds a distinctive resonance. 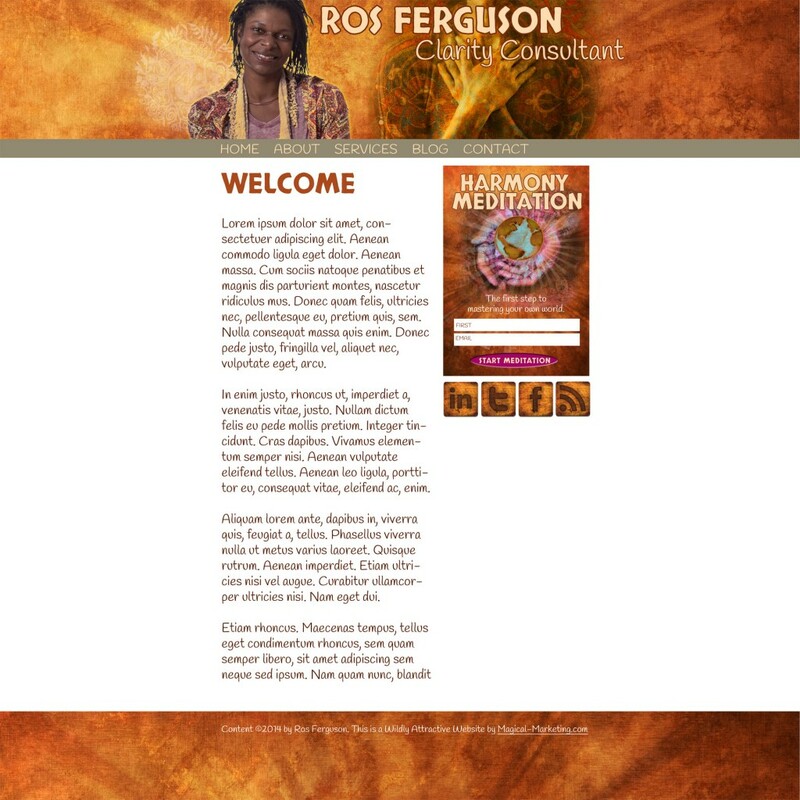 I love the colors and composition of Ross Ferguson Clarity Consultant because I get who she is and her offering right away. And Earthy Woman is so mystical. Makes me want to venture forth into her world to find mine. I could ouuu and ahhh over each one – They are all so inspiring and engaging. Julia you are amazing! Thanks for sharing your gifts and talents with us in order that we may do the same! Lydia, it’s been a total pleasure helping you clarify and express your brand. I cannot wait for your launch, coming soon!